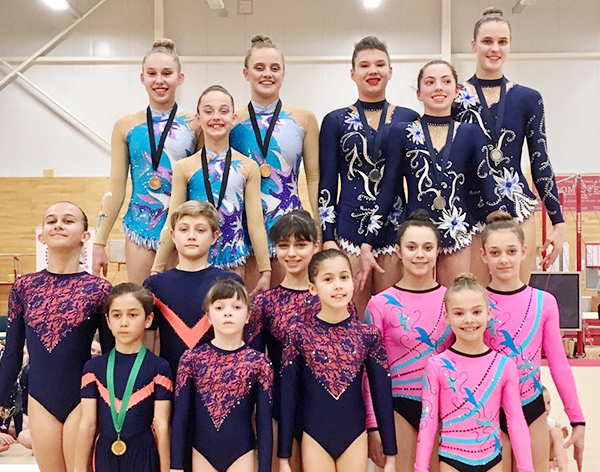 25 gymnasts took part in the London regional prelims on Sunday 17th March at the Europa Centre in Dartford. The morning competition saw some of our youngest gymnasts competing. We were delighted with the quality of routines and skills these gymnasts performed showing fantastic progress with scores. A special mention to Matt & Henry our grade 2 mens pair qualifying for a place at the inter regional championships in Southampton. The afternoon competition was another success with our women’s group 12-18 trio, Georgia, Charlotte and Connie winning the gold medal and our women’s group IDP trio, Kyla, Louise and Natasha taking the silver. Well done team Harefield – good job!